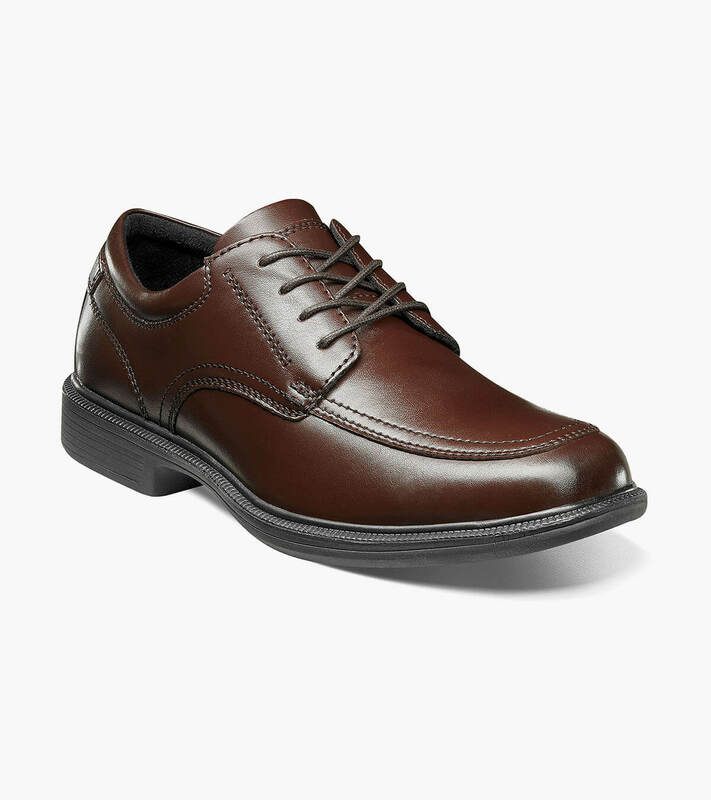 Let the Nunn Bush Bourbon Street Moc Toe Lace Up give you a shot of style and comfort. Simple lines and stitching details are complemented by the comfort that comes with a Memory Foam footbed, Comfort Gel heel pad and the rolling impact zone sole. For those days that you need to be on your feet, the Bourbon St. is sure to raise your spirits.